For Philadelphia Eagles fans who love word searches – young and old! The Philadelphia Eagles were established in 1933, and ever since then, the team has led their passionate fans on a wild up-and-down ride—most recently with the coach-quarterback duo of Andy Reid and Donovan McNabb, who have yet to bring the Lombardi Trophy home. But through both good and bad times, devoted fans have shown the Eagles that faithful “brotherly love” for which is Philly is well-known. 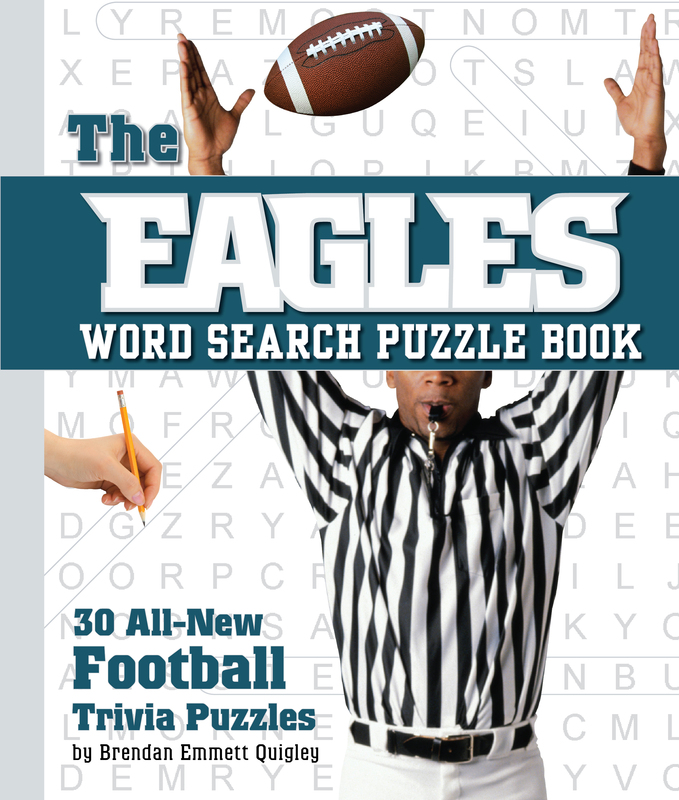 Eagles’ enthusiasts will delight in these 30 entertaining and challenging word searches, which tests their knowledge of the team and its rollercoaster history, including such greats as Chuck Bednarik, Bob Brown, and Reggie White, to the recently departed and much missed defensive coach Jim Johnson and the record-holding Tom Brookshier.